On May 15, 2015. 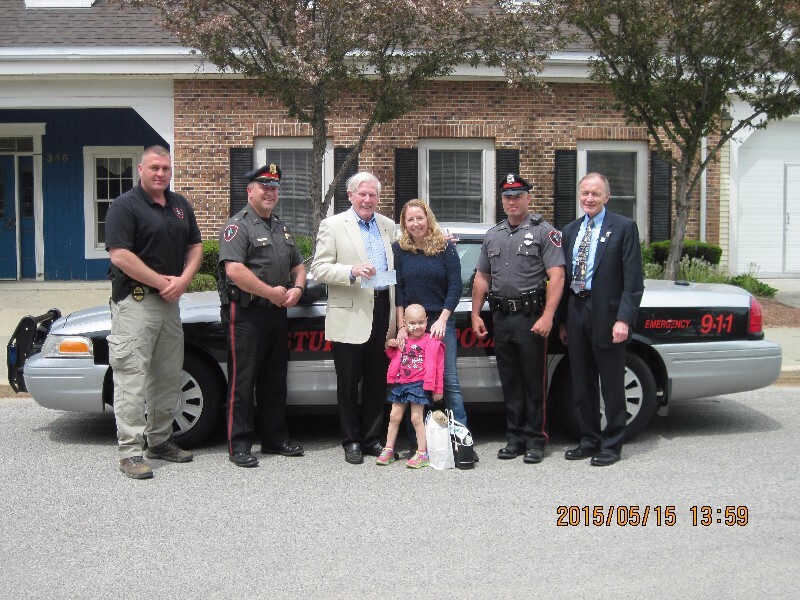 Cops For Kids With Cancer went to the Sturbridge Police Department and made a $5,000.00to the family of Serenity Conant, a 4 year old girl from Sturbridge, who has Neuroblastoma Stage IV. In photo left to right, Lieut. Earl Dessert, Officer David Fortir, Bob Faherty, mother Marie, Serenity, Chief Thomas J. Ford and Lieut. Det. Bill Coulter, Mass. State Police and CFKWC board member.